Welcome to the Eyeglass World complaints department brought to you by HissingKitty. Experienced poor customer service? We make it easy to file a formal complaint against Eyeglass World online. Simply use our free form and your feedback will be instantly forwarded for review. 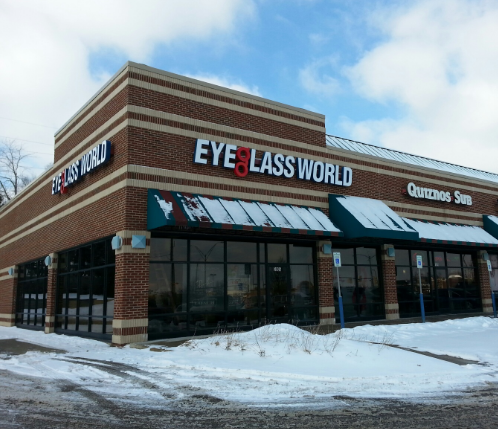 Need to contact the Eyeglass World corporate office? We have the mailing address, phone number, and email address listed below. The service was horrible!!!!!! Mgr. refused to give me corporate phone number, refused to call lab to see were my glasses where. Mrg. also refused to call ups to see if they had them on truck, refused to check tracking number for my glasses. I am going to put my experience on Facebook and any other place that people can read what a horrible business this is. I wish I could leave ZERO STARS August 9, 2018. HORRIBLE EXPERIENCE. Lenses sent to Mexico and Hong Kong for processing. and after three tries they still couldn't get my prescription right. I went in July 10 with my Ophthalmologists prescription in hand. Ordered progressive lenses of my frames, $340. I was told 5-7 working days and they cut the lenses on site. TWO WEEKS later they arrive and the left lens is totally wrong/blurred and they can see it. So they reordered it. Another 8 days it arrives again for the second try and AGAIN it is wrong and they promise to EXPEDITE for a third try. Again I wait another 8 days, no call from them so I call and find they were there yesterday and no one has called me and hadn't planned too today either. So I drive in to get a refund now 30 DAYS AFTER THE ORIGINAL ORDER and Four Round trips later. Waste of time and money with a bunch of amateurs! Anyways, the lady there made me a single vision pair to get me through until my glasses came in. She said she put a rush order on them, so they will be in on Friday or Monday. Well...it's now October 1, 2016! I get a call today telling me my sunglasses are in. I explained that my sunglasses have been there since the 15th! Where are my daily wear glasses? The response I got "Oh...let me look into that and call you back." This Is the same response I have been given three times in the past week. Guess what...they never call back with an answer! I'm done using eyeglass world. I had my eyes checked at Eyeglass World and ordered and paid for glasses the Dr. found a problem with my left eye. He gave me a proscription for eye drops and made a appointment to check the results. However when I returned my appointment was given to others In order to sell glasses. This happened at the eye glass store on Hodges blvd. Jacksonville, FL. Decent place, good selection. I did at one point get a coupon in the mail, which is the reason for my complaint. The coupon quickly expired, but I did not notice this until I had a chance to buy my glasses. My son needed his glasses to be changed and we walked into Eyeglass world a week back. The service was excellent. They gave the right size and material for him. We had taken the eye exam and then picked up a pair of glasses as well as contact lenses. Only at Eyeglass World can you find the best selection, low prices and TWO pairs of glasses in the same day. The glass was really good and it had anti glare in case of driving. That's not all. We had taken a pair of sunglasses with the prescription. The clarity of your prescription glasses and the style and protection of sunglasses is what Eyeglass World is all about. We have no issues so far and are happy with them. Have feedback for Eyeglass World?